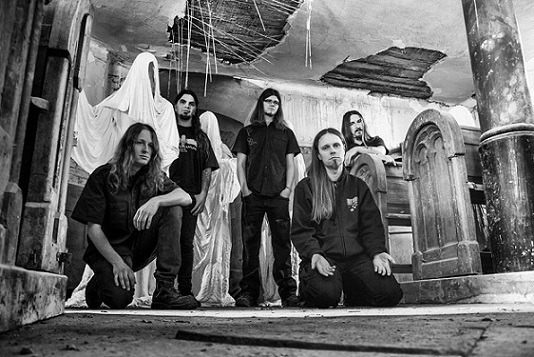 The Czech Republic has a rich tradition in the darker regions of metal, Silent Streams of Godless Elegy, Root, Master’s Hammer, and none of them sounding like the rest of their respective genre colleagues, so when Et Moriemur came around the corner via the ever so busy Transcending Obscurity label, heralded as doom metal with choirs, it was noticed. The first two albums did not seem to receive a whole lot of publicity, but combined with the label’s promotional activities, Epigrammata was heard around the globe and rightfully so, because it is one of the doom highlights of the year without a shadow of a doubt. Like so many bands on T.O., Et Moriemur are not just content with staying well within their genre paradigm, but they are pushing the envelope with an ambitious epos that deals with ancient Greece, something that bands such as Ex Deo and Ade have done for the Roman Empire, albeit in very different styles, but the aforementioned choirs are what really put the icing on the proverbial cake, because it is not just he standard choir that bands employ by bringing a couple of other musicians in, but this sounds like a full-fledged “real” choir, adding some tremendous depth to the slow music. “Requiem Aeternam” sets the table with the nice interplay of the choir and the at times quite nasty growls of Zdeněk Nevělík. Set over obviously slow rhythms, the band still loosens things up nicely by cleverly de- and accelerating to create some amazing dynamics for a doom metal record. While the album layers the doom metal with extreme metal influences, choirs and subtle orchestration, the Czechs manage to balance the different elements to create a very atmospherically dense album that has just enough dramatic flair to keep the listener on the edge of the seat throughout. Be it proggy touches (“Dies Irae”), violin (“Offertorium”) or descending into the murky depths of funeral doom (“Libera Me”), it all is excellently integrated into a very cohesive sound that just draws in the listener. The clear yet never sterile production aids the different instruments and elements to fully unfold and allows the listener the distinction between the many segues and details that elevate Epigrammata further. It is easy to get lost in the melancholic slowness of doom and just let its hypnotic repetition do the job, but Et Moriemur definitely do not play it safe, as indicated on closing 10-minute epic “In Paradisum”, where they draw from much of the 43 minutes prior, uniting doom with acoustic guitars, spoken word and growls with choir and heaps of atmosphere. Doom metal has this reputation for being slow and sad and not much more, but this Czech quintet proves what is possible, when ambition and doom collide. 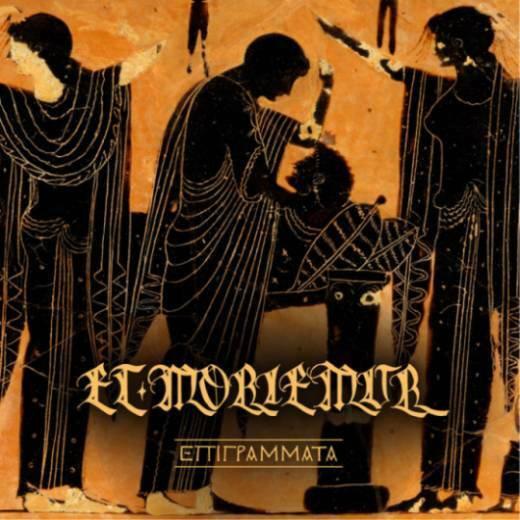 Epigrammata is a masterpiece of death/blackened doom metal with outstanding use of choirs, marking another gemstone in the already studded vest of Transcending Obscurity! This entry was posted in Death Metal, Reviews, Stoner, Doom, Sludge and tagged 2018, 9, Ade, choirs, Czech Republic, Death Metal, doom metal, et moriemur, Ex Deo, Master's Hammer, prague, Root, silent streams of godless elegy, Transcending Obscurity.